It’s been several months since the last time I read a book and I was starting to get that itch to read again. I didn’t know what I wanted to read nor did anything catch my interest. So I decided to go back to a series that I started awhile ago, but never continued with. I picked up the next book in the Ender series titled Speaker for the Dead. 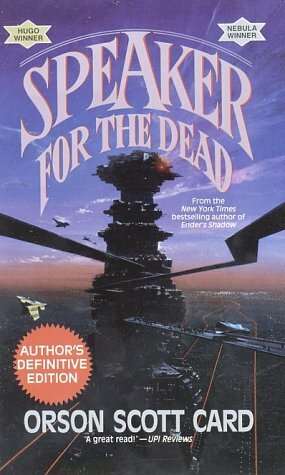 Speaker for the Dead is the second book in the Ender Wiggens series written by Orson Scott Card. The first book in the series is titled Ender’s Game and I read it almost two years ago. The first book was great and I don’t know why I didn’t immediately go and get the next book in the series. I’m glad I finally did though. Speaker was an amazing read that wonderfully continued the story of Ender. This book took me all of two days to read through. Like the previous one, I just couldn’t set the book down. From start to finish I was enthralled in the story. Orson Scott Card is a great author who truly understands human nature and is a very compassionate writer. The way he makes you feel for each character is astounding. The amount of effort he puts into detailing each character really makes you feel like you know them personally. 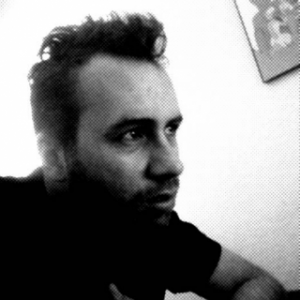 Then when that character does something or is the direct result of something, you take it personally. Speaker for the Dead leaves you more on a cliffhanger ending than Ender’s Game does. Not so much like a cheesy cliffhanger you’d see at the end of a movie or video game, but instead like a complete resolve of all the current issues going on in the book, which leaves you wondering what’s going to happen next? Or, what direct affects will we see due to what happened in this book (or what happened at the end of this book)? I can’t really compare Speaker to Ender’s Game, as it’s been close to two years since I read the last book. In that time I forgot a lot about it, so making a comparison wouldn’t be fair. But from what I remember about Enders’ Game, Speaker is just as good, if not better. But you will definitely have to read or re-read Ender’s Game if Speaker is to make any sense to you. Don’t go into the book blind. But unlike Ender’s Game, I will not be waiting two years to read the next book in the series. Speaker of the Dead was a really good book and had a great resolution at the end, but still left a lot to coninue in the story. The next book in the series is called Xenocide and I’ll be reading it soon.